The TMNT Facebook page held a big announcement this afternoon to reveal new info and art. Kat Graham will voice the character when the series debuts later this year, alongside Josh Brener, Omar Miller, Brandon Mychal Smith, and Ben Schwartz as Donatello, Raphael, Michelangelo, and Leonardo — who you can also see with their wacky redesigns above — respectively. As ever, Graham's April will be one of the first humans the turtles encounter, becoming a firm ally and their guide to the weird world above the New York City sewers. 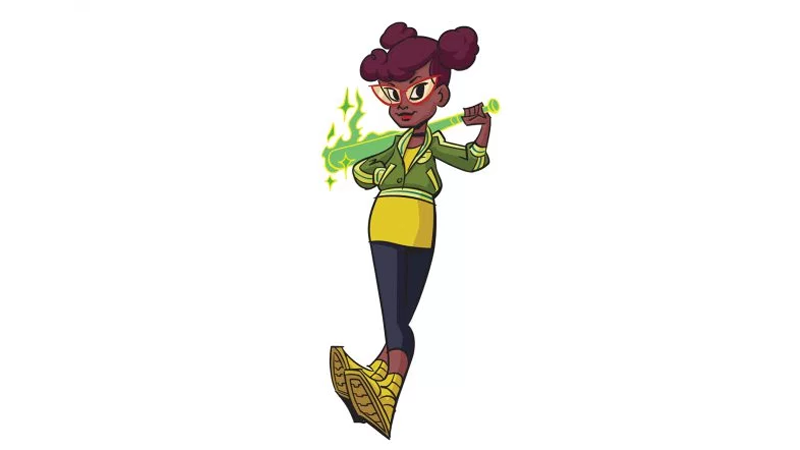 Although this marks a first for April in animation, whether or not this is the first ever African American interpretation of the character as part of the wider TMNT mythos has long been a question of debate. Some fans saw the earliest versions of April, as seen in Kevin Eastman and Peter Laird's original comics for Mirage, as being depicted as darker skinned and potentially African American or of mixed-race heritage, before the character evolved into the red-haired Caucasian iteration that went on to appear in the animated series. Eastman and Laird have also had a history of disagreeing about April's heritage in the original comics — Laird always saw the character as white, and Eastman has said she was originally modelled after his then-girlfriend and eventual wife, who was African American. But even aside from the muddled origins of April in the comics, Rise of the Teenage Mutant Ninja Turtles' April marks a pretty major first for the Turtles' animated oeuvre. What did they do to my childhood, and why does Raph have tonfa and not sais. Already happened in our childhood, when Mikey had his nunchucks replaced by a grappling hook, which now appears to be a meteor chain looking thing. How Leo's held on to his sword all this time is a mystery. Leo's Swords are usually broken and reforged at least once during each style of the show. black or white, who gives a damn. the art is atrocious. are they turtles? or just green aliens? Why does Raph have tonfa? I can't tell if Mikey have nunchaku or a ball and stick. this whole thing just looks weird and off putting. Can not unsee that now. I foresee the comment getting turned off soon. I watched it vanish from the feed and reappear later with existing comments and the option to post new ones removed. I really wanted to see those comments! It's a pretty sad state of affairs when the powers that be would rather disable conversation than moderate. I don't like it at all. Is it sad state of affairs? I'd wager some of my scrumptatoes that even basic data crunching would show a strong correlation between the themes and topics of the threads that get shut down and the commenters who bring about that action. If the affairs are a community that is wholly incapable of behaving responsibly - not in an exemplary manner but just, y'know, with a smidgeon of respect and empathy - then yeah, they are in a terribly sad state. Closing down threads because the effort to moderate can't get its head above thick muck that is the level of discourse? Not sad at all. Thanks. I was wondering if any decent human beings actually commented on these articles in addition to the trolls and other basement dwellers. Yep, and when threads inevitably get closed or removed, those same grunts go to other threads to lament that "freedom of speech is dead". How dare a privately owned business not give them a public platform from whence spew their ignorance, hatred and entitlement for free and with no conditions? As mentioned above. Skin colour is not the issue... The issue is the insanely jagged, and sharp art style. It's terrible. 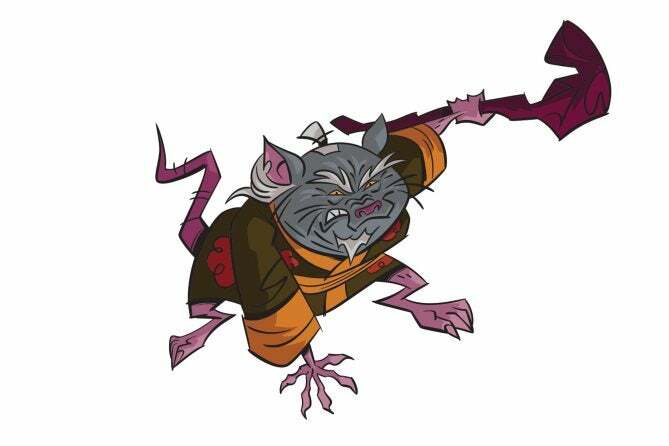 Also, why does Splinter look like a constipated hamster? My guess is trying to appeal to a younger and new generation of turtle fans. I for one am a turtles fan, but not of this art style or design changes (April's skin colour is of no consequence). Agree on Aprile, but she's the best looking character I've seen from this series. I shudder to think what Shredder and the other Villains look like. This looks awful. Won't someone please think of the children! In any event, this artstyle looks far too busy and unrefined for my tastes. Plus the changes to the weapons. Shaq's last name is O'Neal. O'Neil would denote an Irish heritage. Again, it doesnt matter one iota to me. Make the writing strong and the artwork...better than whatever that is, and I'll watch it. It's not like white people ever occupied parts of Africa for any amount of time. Or brought thousands of them to their country forcibly at all. I don't see how any names could become mixed. Not arguing any of that @guestwhowould, my other comment is in moderator hell, but it basically says the spelling of O'Neil denotes Irish heritage. Again, I dont care what color April is portrayed as. Make the writing strong and the artwork...better than whatever that is, and I'll watch it. I agree with you but we both know that the writing matching the physical portrayal of characters means next to nothing these days when diversity is the latest hot topic. That said, I watched TMNT back in the 80s and 90s and both no one cared about the humans' skin colour; green was the only skin tone that mattered. What was wrong with the 2012 animated ones? Some people didn't like the anime-like effects over the top, but even aside from that the character models were great and the show itself paid tribute to pretty much every iteration of the turtles before it. It was great. You can't sell new toys with an old cartoon. Well, they did seem to be doing a good job of it so far. Each season seemed to introduce some new costume variant to make toys out of (space, "dark", etc), plus most recently, unrelated to the show they had mashups of the turtles with wrestlers. It's a tried and tested methodology that works. This looks all kinds of terrible. Why do they have to keep redesigning them? I would understand if the previous version was from a number of years back so it would require a redesign but this is ridiculous - the previous version only finished 2 months ago! The animation looks atrocious and lazy. I don't care at all about April being black (its based on a black and white comic so who cares?) but seriously why do they keep making her a kid? It's so stupid. 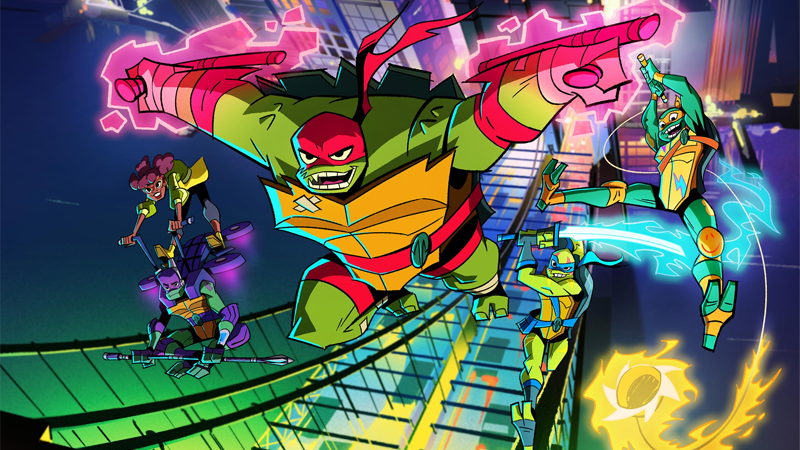 I really enjoyed the 2003 series, and grew up on the 80s version (i also really liked the first two 90s movies, and the animated movie) so i can appreciate multiple versions of the turtles but this looks hideous. It’s kinda like those “You won’t even recognise these celebrities now!” click bait articles where you see a picture of 2017 Renee Zelweger against her 2002 self, followed by a paragraph diseminating want went wrong with her face. The early 2000s series was really good, save for season 6. It was pretty good, but it wasn’t must watch material. I liked the inky look of it more than I enjoyed the writing. TMNT didn’t grow up alongside me like other franchises have done. The recent Thundercats reboot was much better. I wonder which Deviantart "artist" they hired to make this crime against good taste. The glowing and the teeth in particular look so incredibly bad. The team behind it are pretty solid. I'm hoping it's one of those series that look a bit ropey in stills but better in motion. See Samurai Jack. I don't know if I'm sold on that art style yet, but at this stage the series could turn out to be anything, so have an upvote for the only bit of optimism in the entire comment thread. They're pretty loosely based on the TMNT of our childhood... why not just rename it something completely different and leave TMNT alone? Is it that hard to come up with new names and stories? now this is the TMNT i know and loved ....hang on, wtf are they screwing with the formula for? And how awful is the art? i dont mind that the art is 're-imagined' with new creators but wtf its so ugly?